It’s the hard-top brother to what has to be the most celebrated and fun-supporting sports car on the planet. 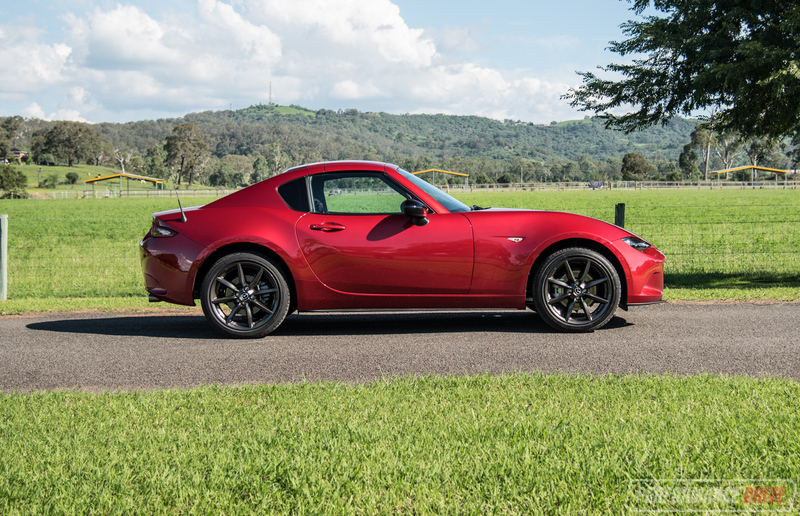 Welcome to the Mazda MX-5 RF – or, Retractable Fastback in longer speak. 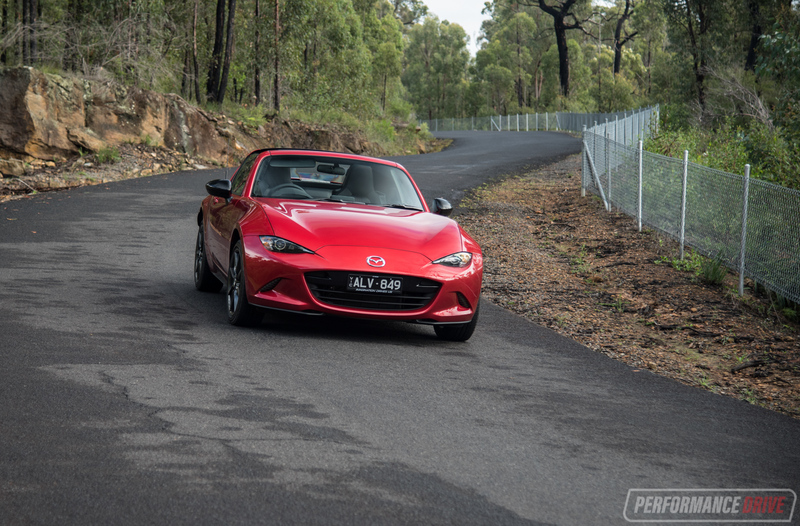 Mazda Australia introduced the MX-5 RF earlier this year. 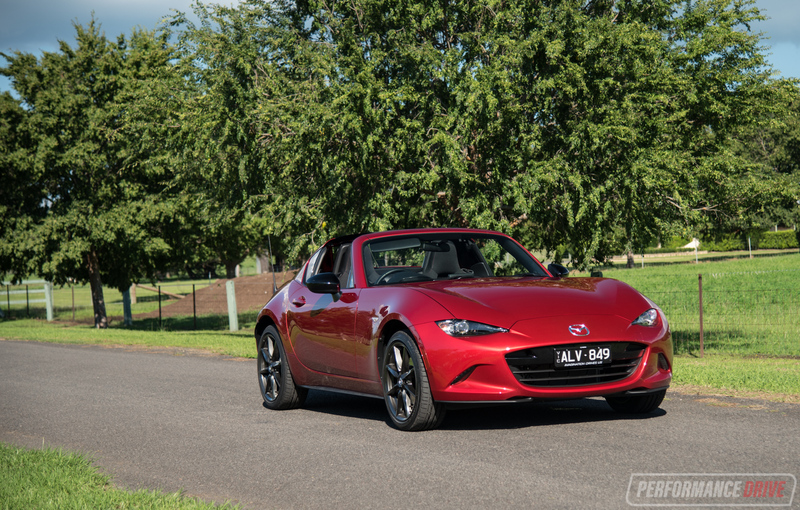 Essentially it’s the same as the regular MX-5 except it comes with a hard-top, electric-folding roof. 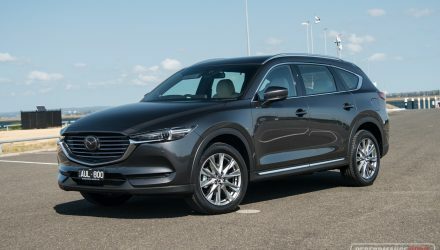 This helps to provide a quieter cabin, improved touring ability, and increased refinement. It also feels – and literally is – more secure inside. 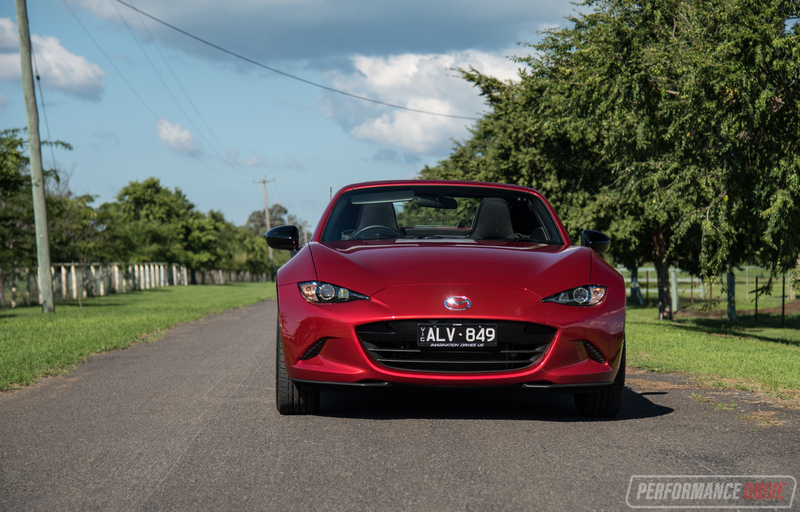 In Australia the RF is only available with the 2.0-litre engine option as opposed to the manual-folding soft-top which comes in 1.5L and 2.0L form. 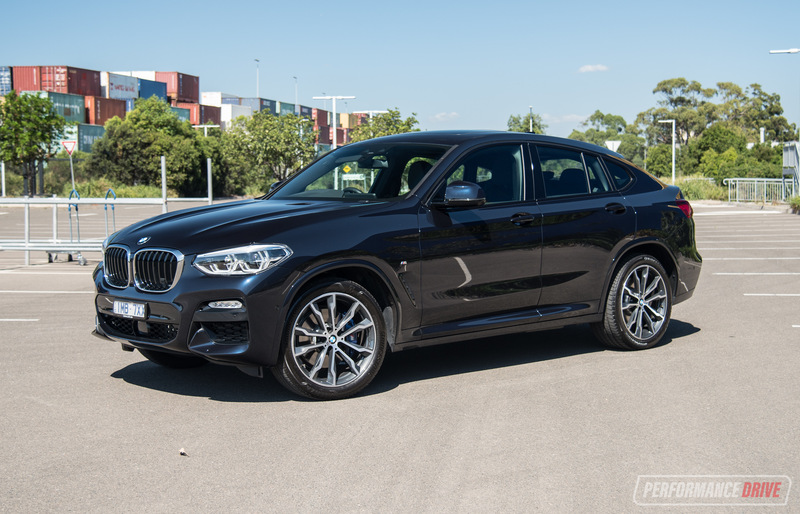 You can, however, spec for the base model or the premium GT variant, with either a six-speed manual or auto. 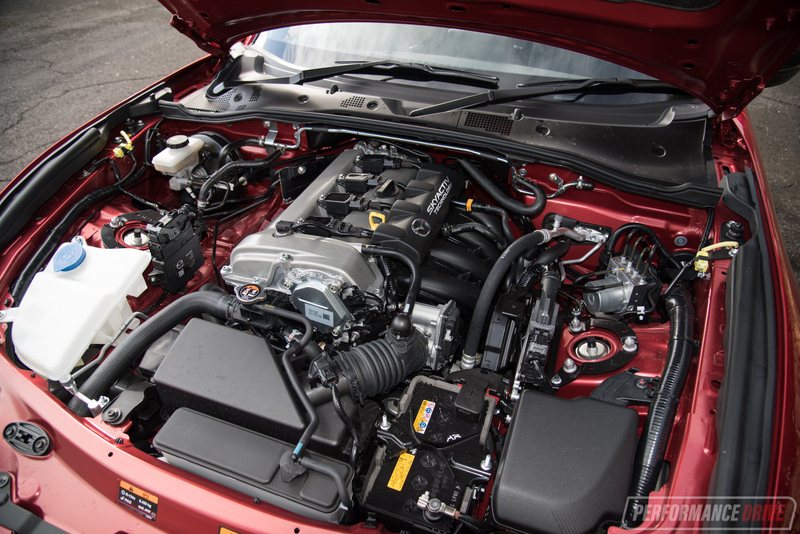 Here we’re testing the base RF with the six-speed manual. 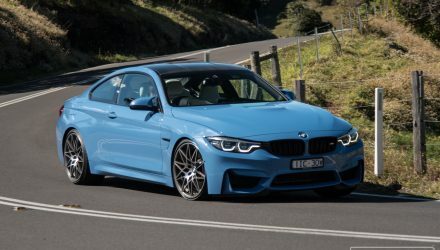 Prices start at $38,550 for this, which is $3700 more than the equivalent soft-top (excluding on-roads). Okay, so the cabin is pretty tight. If you’re over six-foot tall you will have to check to see if it’s comfortable for you before signing the dotted line. The dash is quite close and the immediate proximity of the roof and A-pillar can make it feel like you’re wearing the MX-5 like a pair of sunglasses. If you do fit in though, like this writer, then you’ll be a happy-chappy indeed. 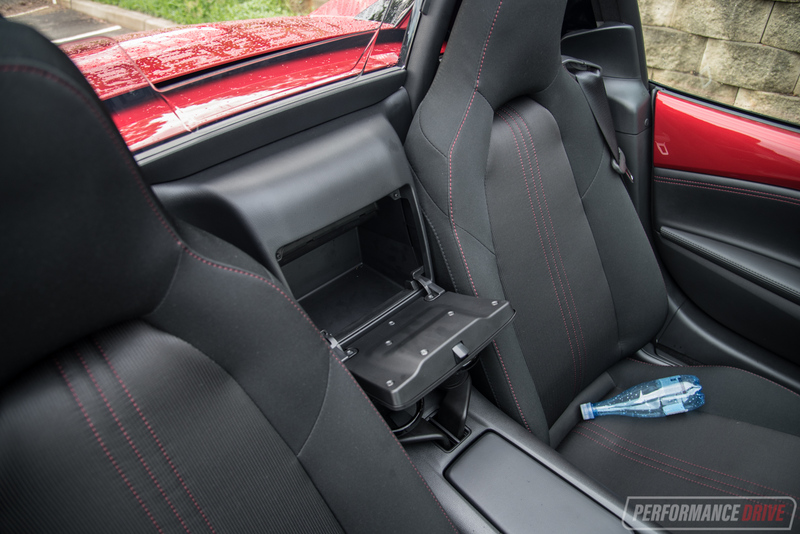 The cabin provides an intimate setting for which you can really enjoy those long Sunday morning drives. Everything is right at arms’ reach, with a superb driving position placing the vertical-skewed steering wheel right at your chest. 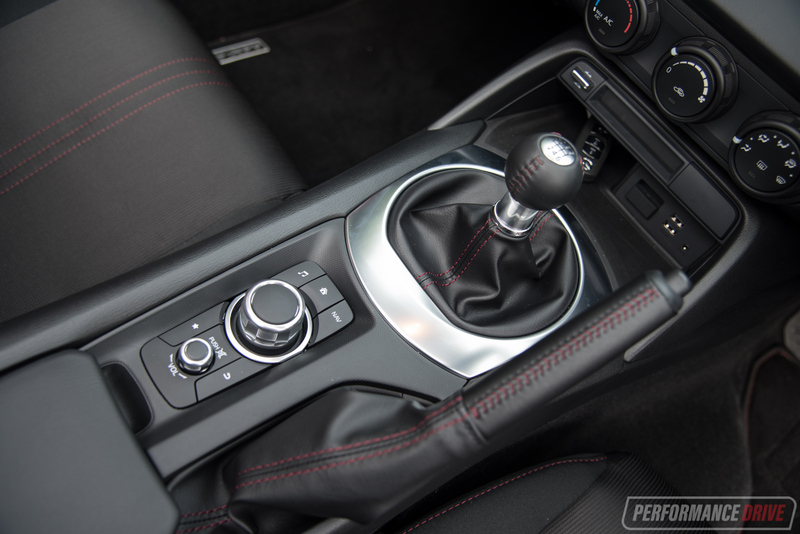 Pedal placement is also perfect, so you can heel-and-toe like a pro (in the manual, obviously), and the gear shift action is slick, short, and precise. It’s one of those cars that actually feels fun as soon as you sit in it. You don’t even need to drive it, it’s already proven its point. 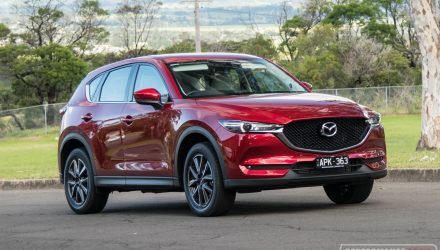 Like any other Mazda in the current showroom, the build quality and fit and finish of all fixtures and fittings inside the cabin are excellent. 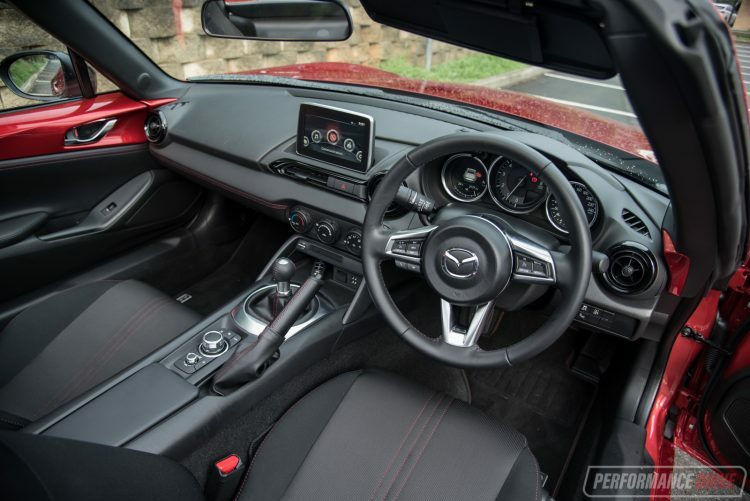 Everything feels solid and well put together, with some premium tones in the way the air vents and dash are designed. Some sprinkles of silver also help to celebrate the occasion. 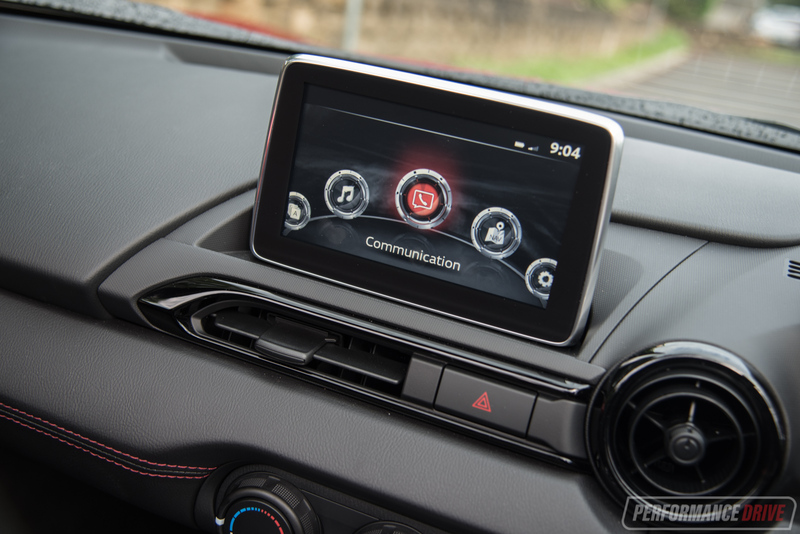 Perhaps the best part about the cabin – aside from the driving position – is the MZD Connect system. 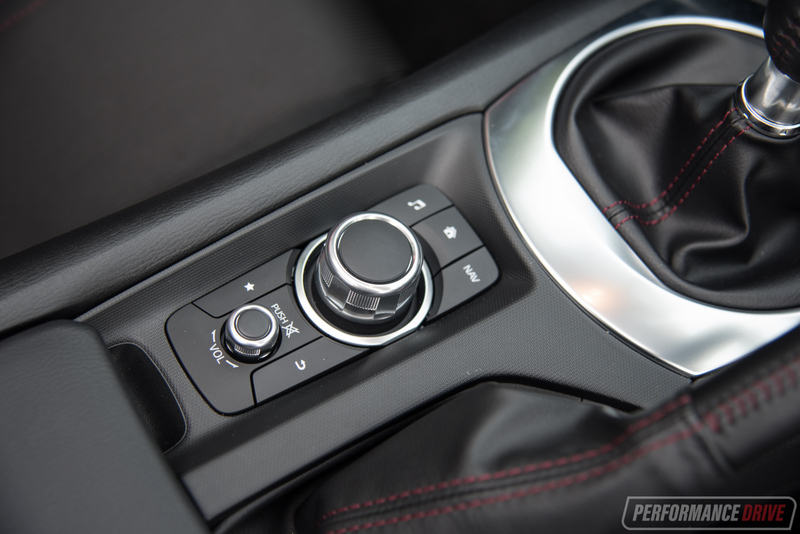 This is Mazda’s universal hand controller setup that’s in most models. And it’s pretty much faultless. You don’t need to reach up to the screen, although you can as it is a touch-screen (when the vehicle is stationary), and the hand controller is immediately understood from the moment you use it. The menus and home button are all integrated into the pad ergonomically so you don’t even need to look down to operate it. 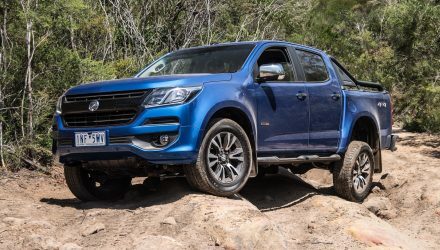 If you like venturing out and getting away on the weekends for a night-stay somewhere nice, you might be disappointed by the lack of luggage space in the boot, depending on how lightly you travel of course. 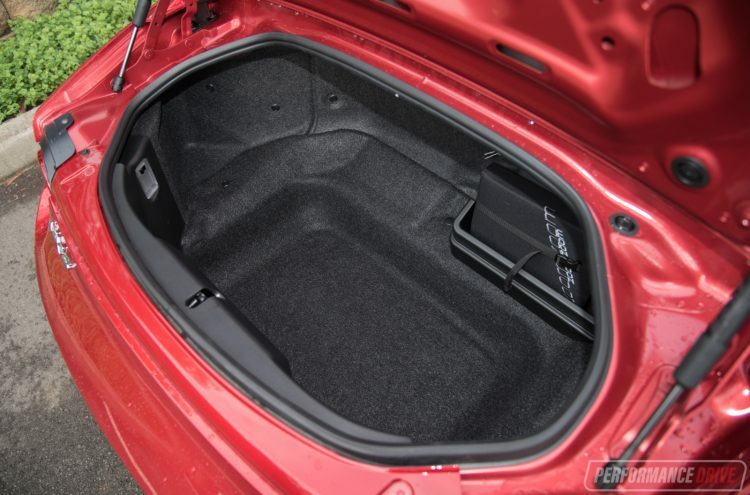 Boot space is rated at 130L, which isn’t much, but surprisingly the metal-folding roof on the RF model only saps an extra 3L (127L). The boot is reasonably deep but quite narrow, and short length-wise. 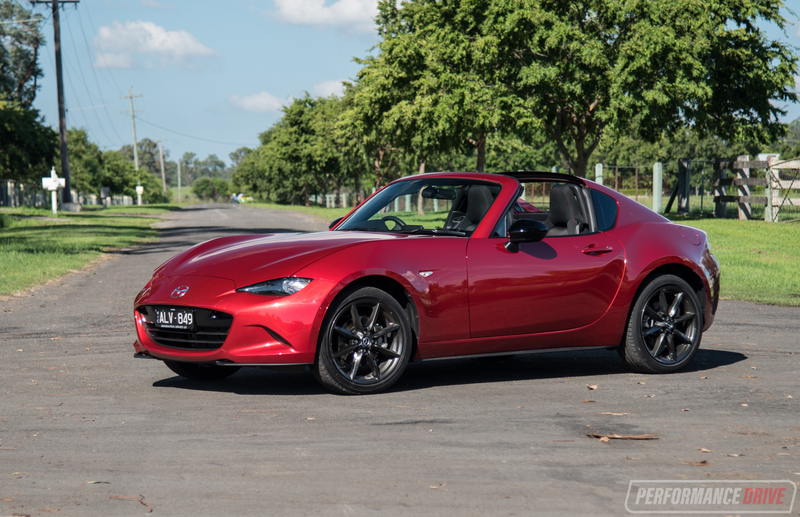 There aren’t many cars on the market at the moment that provide a fun driving experience quite like the MX-5. 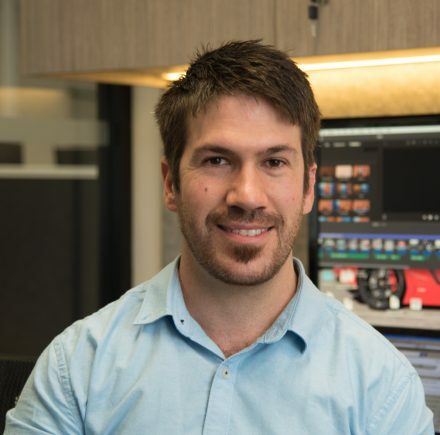 It feels natural, exciting, and skilled, all in one. 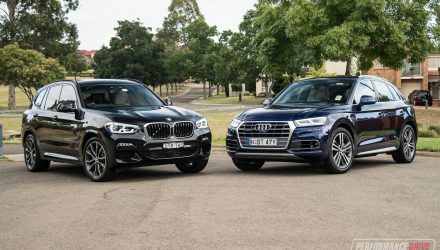 This dynamic ability means drivers of all experience can enjoy and appreciate the car. And it’s not just about hooning around on country and mountain roads. This car can be a lot of fun just driving to work, especially with its happy face front-end smiling at everyone. 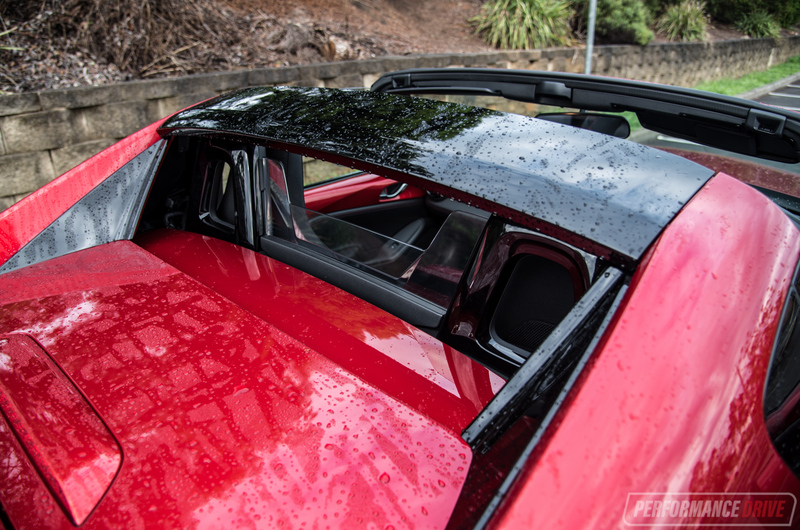 Fold down the roof, which takes around 13 seconds and can be done on the move (only below 10km/h), and it suddenly feels like you’re about to go on holidays. It’s great. 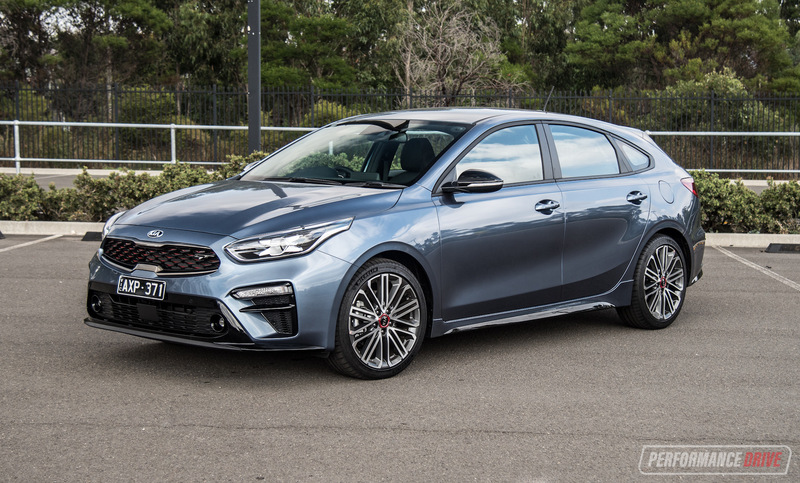 You can hear the sporty exhaust burring and buzzing with every gear change, and you start to have an all-new appreciation for roundabouts because you can now smell the floral gatherings they often showcase. 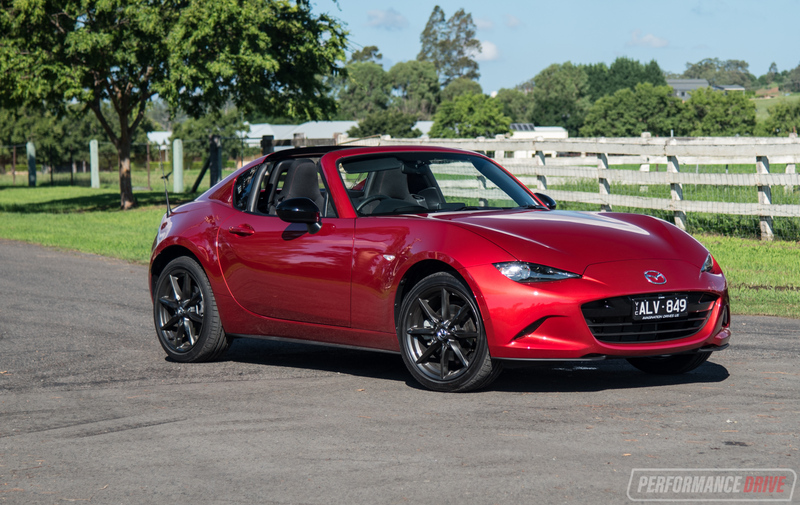 There’s also the wind in the hair cliche, but, it’s not as pronounced as in the regular MX-5. This is because the RF retains a buttress behind the passenger compartment, providing some shielding from the wind when the roof is down. 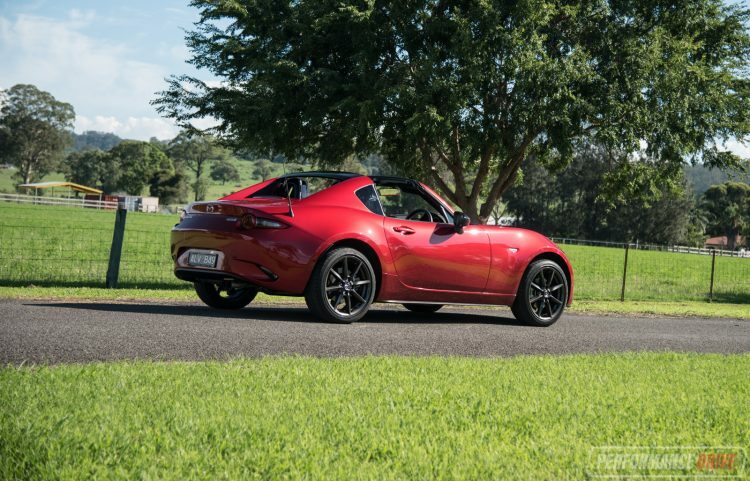 Flick the roof-up switch and the MX-5 RF transforms into a complete coupe. 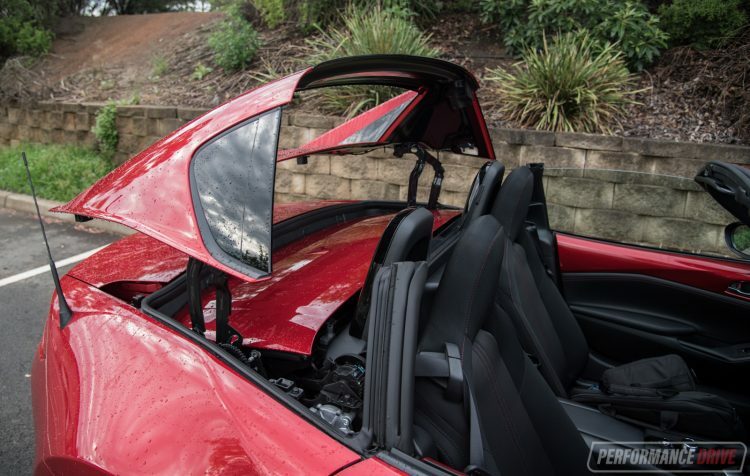 The interior is closed off from the world and there isn’t any major evidence that it’s a convertible, from an audible standpoint anyway. It’s amazing to see what a couple of panels can do to hush things down. We guess there’s also an improvement in refinement as the roof doesn’t flail at speed, obviously, not that the canvas-top is a raggedy old sheet. 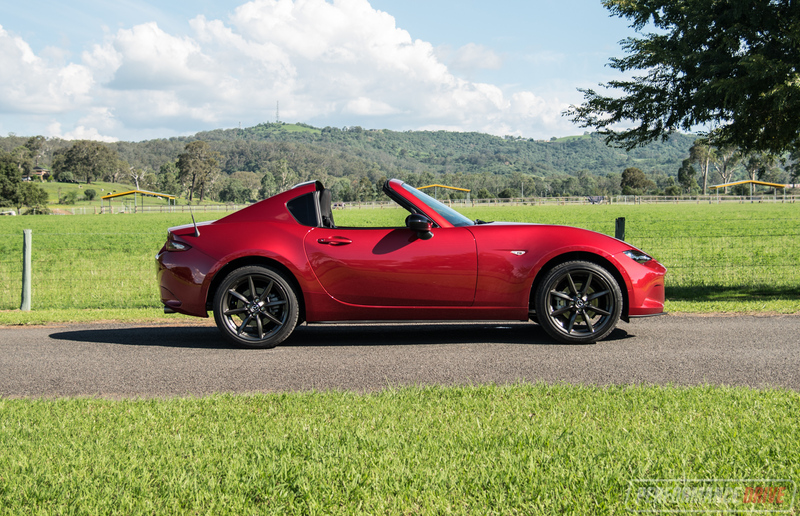 Despite the electric-folding mechanism and the metal panels, the RF weighs just 45kg more than the equivalent soft-top. It’s light. 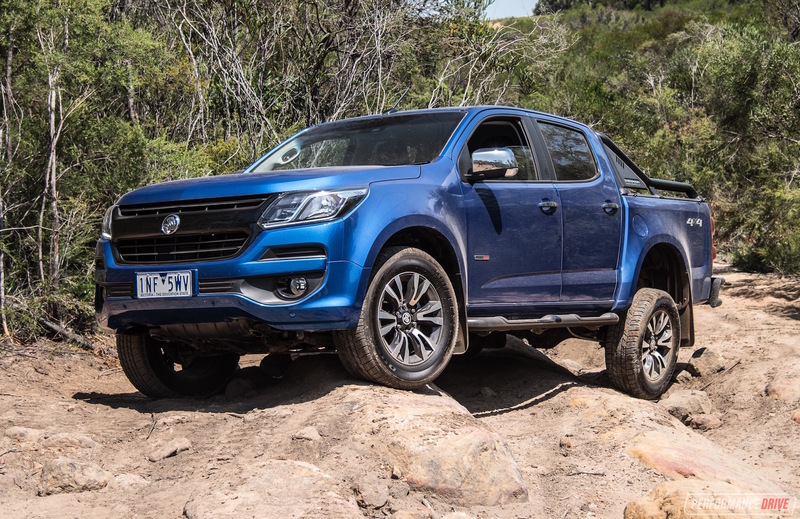 Bloody light, tipping the scales at just 1050kg (tare) in this as-tested specification. 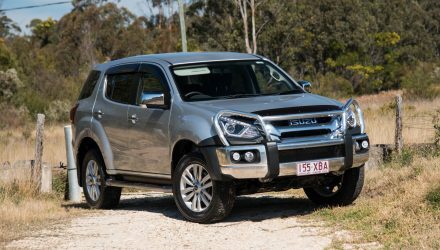 Going for the auto adds 30kg and $2000 to the starting price and 0.4L/100km to the official fuel consumption rate; 6.8L/100km manual, 7.2 auto. 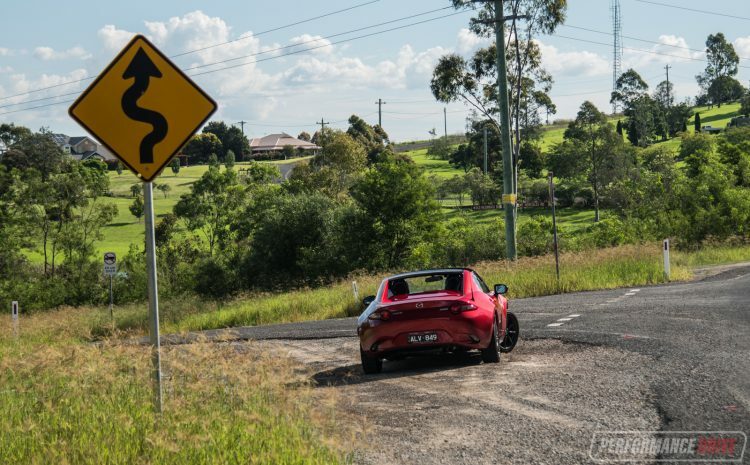 If you can drive manual, we’d strongly recommend choosing the manual option here. If you can’t drive manual, learn. 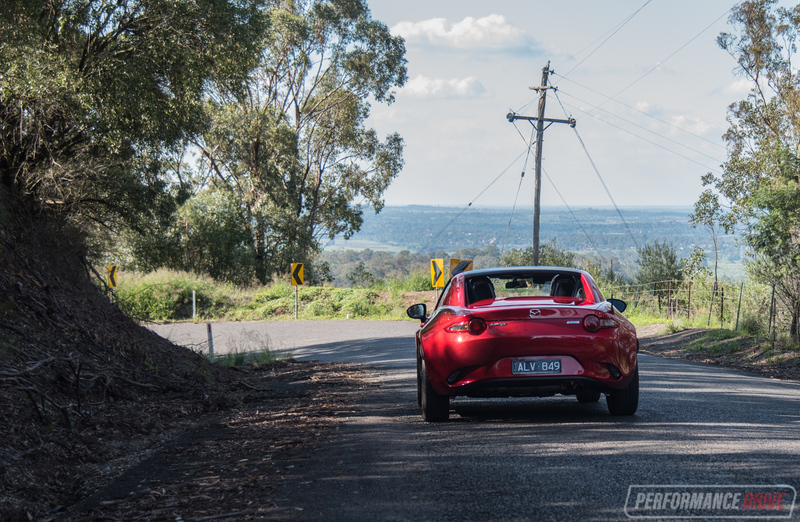 Out in the mountains the MX-5 is pure bliss. It’s a genuine driver’s car, with organic steering making you feel totally integral to the driving. Slot the shifter back and forth. Listen to that chirpy engine sing. And enjoy the delightfully playful handling. You can do this all day and not get bored. 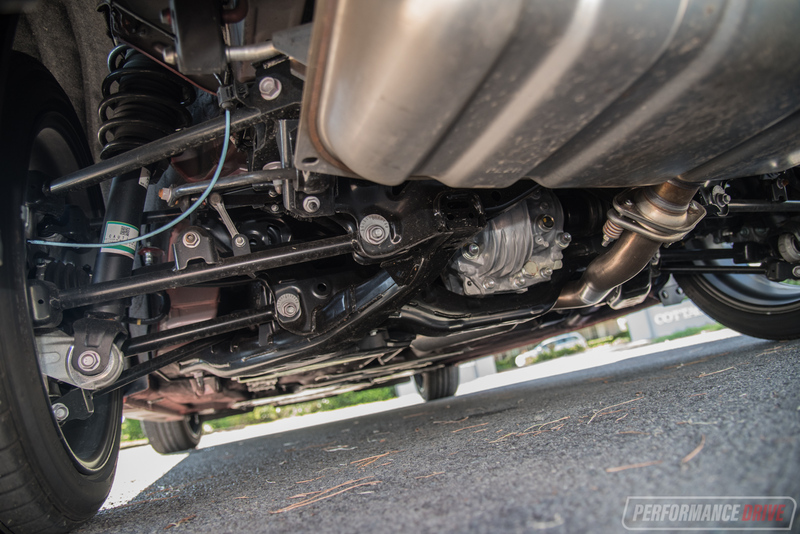 We like that the suspension isn’t super-firm. In fact, there’s a bit of body roll here. 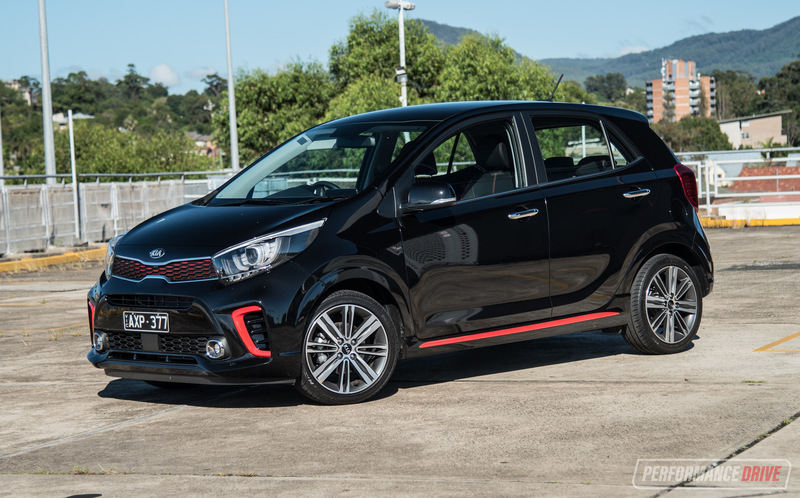 But this allows you to throw the car around, and even tip the rear end out for some nice, controllable oversteer. 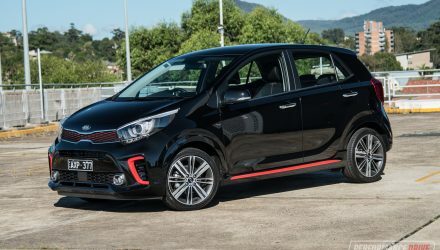 During oversteer you can open the throttle right up for a longer drift without the worry of too much power sending it all into a 360; the engine’s power simply isn’t high enough to cause this. 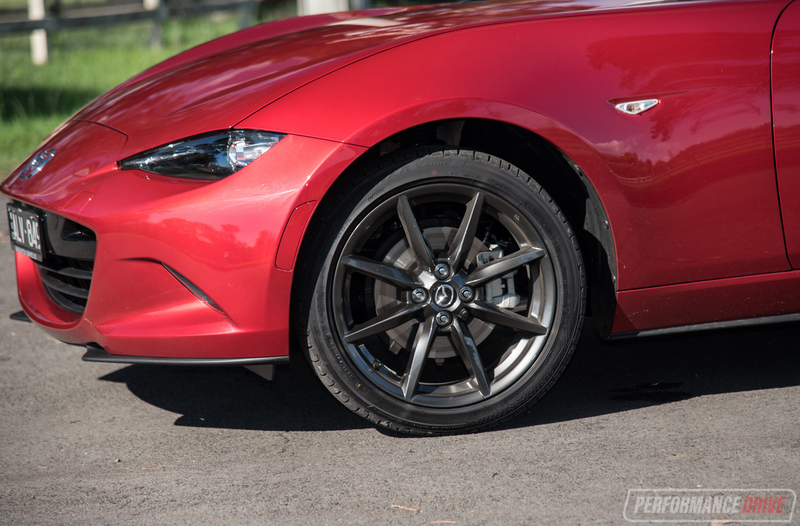 The overall balance is sensational, and probably the best aspect to the car. As for the power, we clocked the usual 0-100km/h sprint in 7.53 seconds. 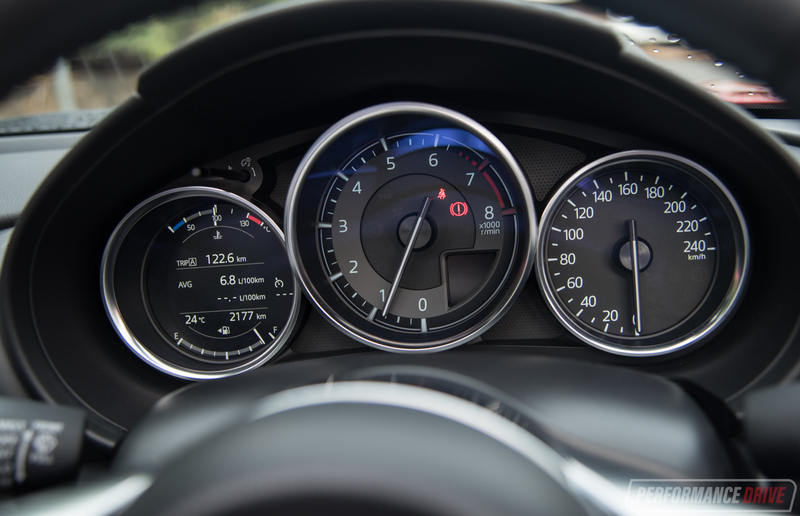 This is approximately 0.5 seconds slower than the time we achieved in the soft-top manual 2.0L. 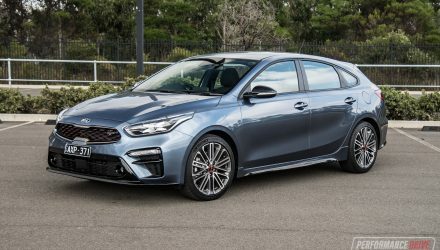 This could be down to the 50kg weight deficit, although a full tank or almost empty tank of fuel could also influence the performance; with the car weighing just 1050kg, 45L of fuel adds 45kg (roughly) – almost five per cent of the car’s weight. 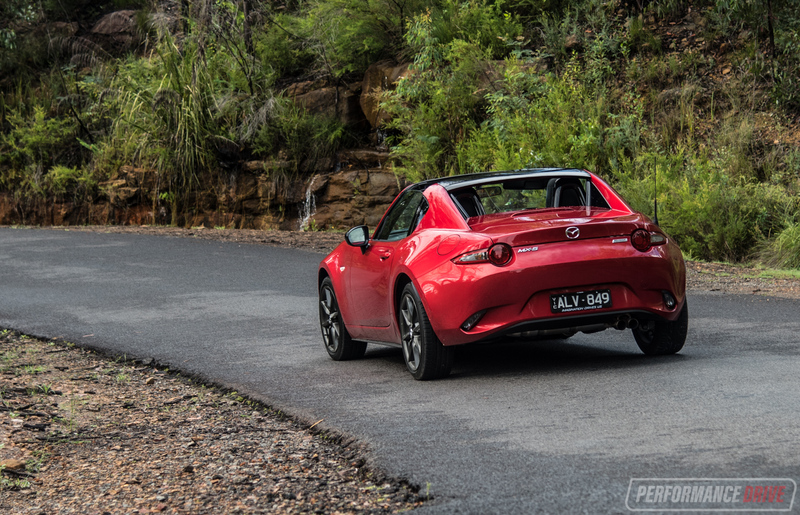 As we said at the start, the MX-5 is renowned as one of the most enjoyable sports cars around. 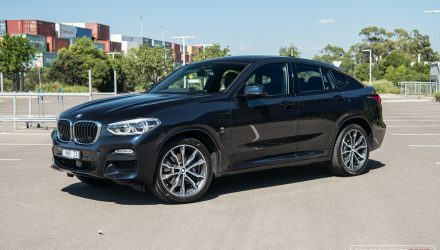 It understands what driving enjoyment is all about, and with the latest model you don’t miss out on any of the must-have mod-cons that are in the market at the moment. 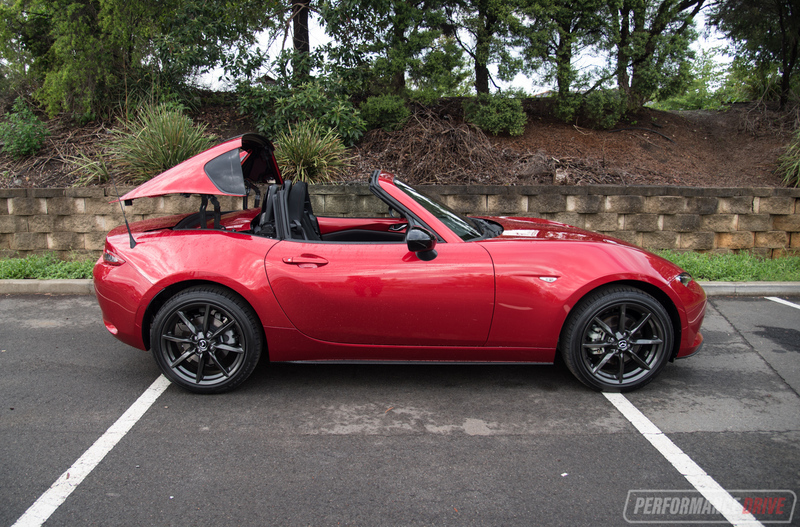 So, what we prefer, the soft-top or the RF?… Got a coin? Tails.